I have one word for you when describing my experience at the La Prairie Silver Rain Spa at the Ritz-Carlton, Grand Cayman last week. LUXURIOUS. Out of every spa I've visited -- and I've been to quite a few -- this spa completely and totally took the spa experience to a level I've never come close to finding anywhere else. From the moment I opened the doors to the spa, I was immediately whisked away to a spot of luxury beyond my wildest dreams. 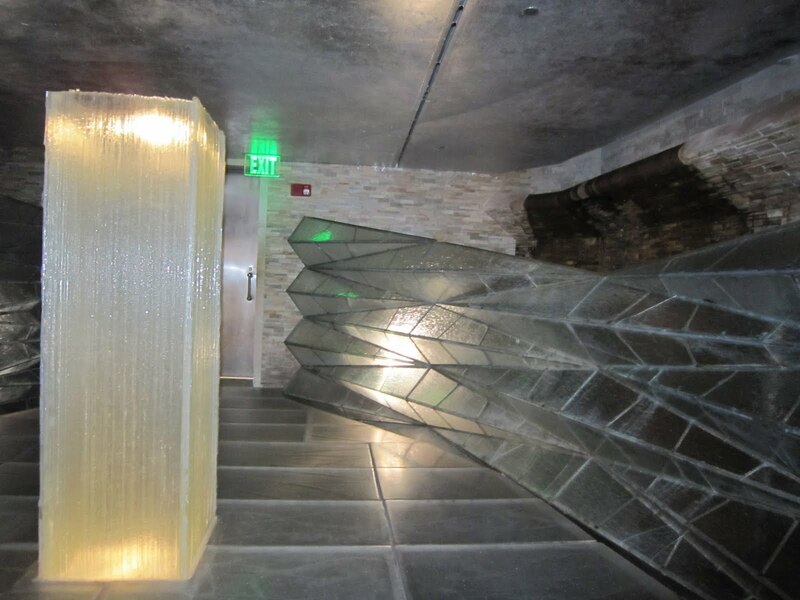 The spa celebrates the healing energy of water in all its forms, which, with the crystalline entrance area with a running river under the glass floor and water cascading down the glass walls, is evident from your very first step. The carpeted, pristine white and grey locker room area has multiple banquettes, rainhead showers and plentiful La Prairie products to choose from. The upstairs lounge is outfitted with multiple food and beverage options and amazingly comfortable couches, each in a separate space with curtains so you can relax and lounge in peace. As if all that weren't enough, my treatment completely took my breath away. I opted for the Caviar Massage, a 60-minute spa that I'm certain brought me right to heaven's pearly gates! The massage incorporates the La Prairie Caviar line (Skin Caviar Luxe Body Cream and Skin Caviar Luxe Body Emulsion) to nourish, energize and moisturize the skin. It even leaves glimmering golden particles on your skin so you shimmer and sparkle throughout the next few days! My massage therapist had deft hands that kneaded every knot and left me feeling so relaxed I fell asleep on the table. The Caviar Massage at the La Prairie Silver Rain Spa at the Ritz-Carlton, Grand Cayman is $225 for 60 minutes. To view the spa menu and book an appointment, visit ritzcarlton.com. OMG! I am SO jealous! that sounds truly amazing. So glad you enjoyed it!